Bord Bia CEO Tara McCarthy, members of the Milkco managing team and Paula Barry Walsh of the Department of Agriculture at the Milkco plant in Indonesia. A delegation from Bord Bia, the Department of Agriculture and members of the media met with the managing team of Milkco, one of Indonesia’s fastest growing dairy companies on the first day of its trade mission to South-East Asia today. Milkco produces flavoured milk drinks for children, along with cereal based milk drinks. It employs more than 230 people and imports the majority of its dairy from the US. It has recently secured a contract to make products for Nestle. The company is currently working with three local dairy farmers in Indonesia to teach them about quality and how to run a dairy business and requires all employees to give blood regularly. Milkco Director Lira Oktaviani told the Irish delegation that the company aims to become one of the major players in the Indonesian dairy industry in the coming years and is open to doing business with the likes of Ireland in order to achieve this goal. “Since we aren’t as large as other processors we are open and flexible to exporting and not as rigid as larger companies. We like to work together with other multi-nationals and recently received samples of skim milk powder from Ornua,” she said. When negotiating with possible exporters, she added that quality and halal certification (ensuring animals are slaughtered according to Muslim guidelines) are factors that are important to them and said that competitiveness is a must. “Competitiveness is important. You will say to us you are the best and the US will also say that, so you need to show how you stand out,” she said. 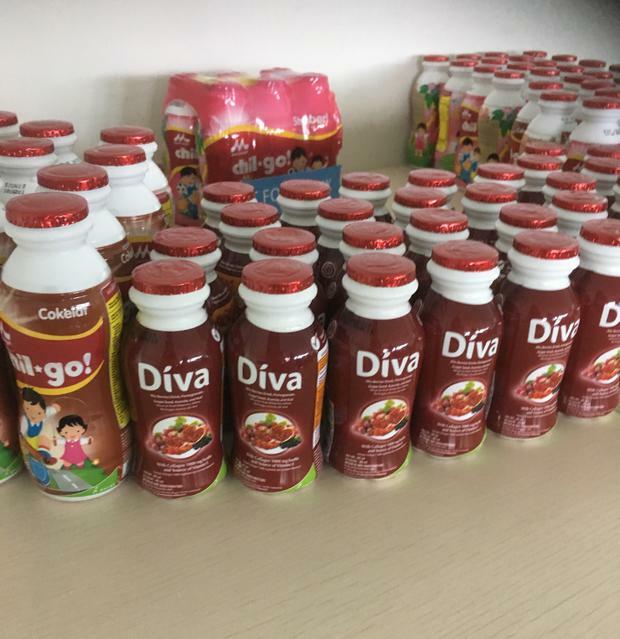 Examples of milk products targeted at kids produced by Milkco. While consumption of milk in Indonesia currently stands at 12-13 litres per capita, at present consumption of sterilised liquid milk is growing at a rate of 10-20pc each year as people in Indonesia are becoming more health conscious. Condensed milk is still extremely popular and stocked widely in all hypermarkets. Bord Bia CEO Tara McCarthy told the Milkco managing team that it is hoping to enhance its understanding of the Indonesian market with the aim of increasing exports to the country. “We have come to learn. We want to understand this market, the companies and where you are going next. It’s a country we want to understand better. Dairy is our number one export product to Indonesia, it accounts for one-third of our exports and is something we would like to grow,” she stated. At present Indonesia is 23pc self-sufficient in milk, with a government target to reach 42pc by 2021. There is no cheddar produced locally and only very limited WMP and mozzarella. Irish dairy exports to the Indonesia currently stand at €15b annually but since the country is set to become one of the world’s top seven economies by 2030 and is only 40pc self -sufficient in dairy this has potential to grow.